Join our online classes from anywhere! We provide live, interactive and affordable instruction on a variety of CiviCRM functionalities and offer classes for all levels of experience. Taught online at your own computer, each class is two hours and enrollment is limited to allow for interaction and questions throughout the class. This series of online classes will teach both complete beginners and those who are self-taught, the basic functionalities in CiviCRM: Contacts, Membership, Events and Contributions. Each class focuses in depth on one of these topics to get you off to a successful start with CiviCRM. Learn how to use more advanced features of CiviCRM and how to take a more customized approach to a variety of functionalities to further benefit your organization. For current CiviCRM users who have solid experience with CiviCRM and some experience with the administration of either Drupal and/or WordPress. Explore the benefits and possibilities of the integration of CiviCRM with Drupal or WordPress. "Many thanks to Susan who is very clearly understandable and answer all questions we asked. Thanks again." "This was my first "formal" exposure to CiviCRM. Although I'd looked around a bit and tried a few tasks, Susan provided basic instruction that I was lacking. It will still take a while to be completely comfortable doing what she showed, but at least now I know what to do without bringing the program to a crashing halt!" 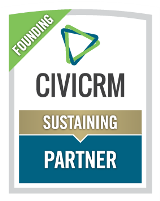 "I am new to my organization and we are just starting to transition to CiviCRM, so I had no experience prior to this training. 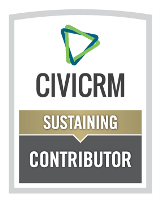 The class was a great introduction for someone like me, but Susan also provided many tips for how to more efficiently use CiviCRM that I believe would be helpful for more experienced users."